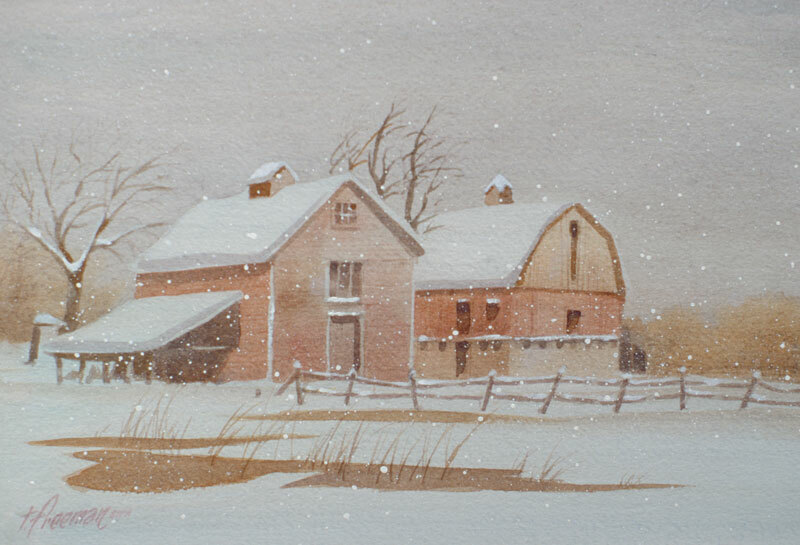 Thomas Freeman Original Watercolor Painting: "December snowfall"
To capture a winter scene, I used mask wherever the snow areas appear: on the trees, the chimney, the edge of the barn, top of the fence. After painting it, I then ran water over the whole picture to dull it down because I felt the colors were too bright. Finally, after it dried, I took a toothbrush and spattered Chinese white for the snow.